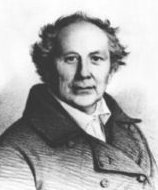 Friedrich Wilhelm August Argelander is generally considered the father of variable star astronomy. He was the first astronomer to begin a careful study of variable stars. At the time, only a handful of variables were known, and he was responsible for introducing the modern system of naming them using the capital letters R-Z. It was believed that variability was a rare phenomenon and that this would provide plenty of names for the variables yet to be discovered. In a few years this proved inadequate and the naming system was extended to double letters, and then a numbering system. Today, tens of thousands of variable stars are cataloged, with more being discovered all the time. The “Argelander Step Method” is a visual method of estimating the magnitude of a variable star. It involves comparing the variable with comparison stars of known constant magnitude, and assigning a step value that reflects the brightness of the variable as distinguished from that of the comparison star. The magnitude of the variable can then be calculated from the known magnitudes of the comparisons. This is very similar in practice to methods still used today by visual observers of variable stars. Argelander is probably best known for the Bonner Dorchmusterung, the largest and most comprehensive of the pre-photographic star catalogs. He began mapping the exact positions of the stars in the northern sky in 1852, a monumental task before the use of photographic plates. When finally completed in 1863, it listed the positions of 324,198 stars down to ninth magnitude. In 2007, the AAVSO created the Argelander Society to recognize AAVSO supporters who had made significant financial contributions to the organization over a lifetime. Once a benefactor has donated a cumulative total of $35,000.00 to the AAVSO, they become members of the Argelander Society. As such, they are eligible for a lifetime membership in the organization, free registration to annual meetings, invitations to special events, special awards, and tokens of the association’s appreciation. By 2014 the number of members had grown to 12. They are- William B. Albrecht, Marvin E. Baldwin, Charles E. Curry, Margaret Doleman, Clinton B. Ford, Martha L. Hazen, Arne and Linda Henden, E. Dorrit Hoffleit, James Molnar, Theodore H. N. Wales, and Thomas R. Williams. In December 2015 two benefactors, John Centala and Gary Walker, crossed the $35,000 threshold and became the latest members of the Argelander Society. John joined the AAVSO in 2002 as a visual observer and has begun CCD observations of relatively bright objects. Gary began serving on Council in 1993 and became President of the AAVSO in 1997, serving until 2001. In 2005 Walker became Secretary of the AAVSO Council. This year Gary begins his second decade of service as Secretary. I had the chance to interview Gary recently and asked, "You've been a member for a long time. Has the change and growth of the AAVSO impacted your view of the importance of giving?" Gary answered, “The growth of the AAVSO has shown the need for giving. Most organizations can keep the status quo with their income, however just like in business, when you want to expand; outside capital makes things really move. You can't take it out of the profit, because there is usually not enough of it there. "Now that we have begun a new year,” I asked, “what are your hopes and vision for the AAVSO going forward?" Thank you for your commitment, your service and your support of the AAVSO, and welcome to the Argelander Society, John and Gary!